The Minister of Agriculture, Forestry and Fisheries gave a brief introduction saying that exports have grown by 7%. But what is worrying is that imports still remain high and they need to be looking at exports substitution. The recent crop estimation was not a bad one but features of climate change are worrisome. The December outbreak of Foot-and-Mouth disease (FMD) in cattle in Limpopo had led to South Africa's FMD-free status being suspended. They are working very hard to control and eradicate the outbreak and hope very soon to apply to the World Organisation for Animal Health (OIE) to regain FMD-free status. The 20% proposed taxation on sugar is going to put more strain on sugarcane farmers. There is pressure to allow the use sugar beet as biofuel feedstock and that is a debate that DAFF is currently facing. The Director-General reported on past achievements to previous SONAs and then gave DAFF responses to the SONA statements related to Agriculture, Forestry and Fisheries. Members asked how DAFF will help 450 small emerging farmers to become commercial farmers with only R12 million, what it is going to do with the problem of red-tape in the aquaculture sector, clarity on the Agricultural Development Zones (ADZs), that the DAFF target of assisting 25 000 small emerging farmers is too small, the disparity in the number of jobs created in the Oceans Economy, R8 million for the SETA is too much and their programmes are often inadequate, about the reduction of support for people that are vulnerable to hunger, whether there is a separate disaster fund and eradication of the Foot and Mouth Disease (FMD) in Limpopo. The Chairperson welcomed the Minister, the Director General and the delegation from the Department of Agriculture, Forestry and Fisheries who were invited to explain DAFF’s response is to the 2019 State of the Nation Address (SONA). Mr Senzeni Zokwana, Minister of Agriculture, Forestry and Fisheries, explained that exports such as fruit and wine have grown by 7% which is calculated to be $10.6bn. But what is worrying is that imports still remain high and they need to be looking at exports substitution. Some of the products that are involved include rice. Last year when they met with the Government of Thailand they agreed that they will be coming in April as they have a technique for producing rice on dry land, and DAFF hopes that this will come in very handy for farmers here to have an understanding of that and venture into that. The recent crop estimation if the good rains foreseen across the country remain, without hail, they expect 10.4 million tons of white maize and 12.6 million tons of yellow maize. It is not a bad estimation given that the rains came late and in some of the areas there has been stress especially in the livestock industry. It is not a bad estimation given that the rains came late and in some of the areas there has been stressful situations especially the livestock industry. Areas like Joe Gqabi in the Eastern Cape, parts of inland KZN have been struck severely by the drought. One is seeing features of climate change that are worrisome such as this morning the report of torrential rains in parts of Australia that have resulted into livestock dying because of high water levels. This meant that DAFF will have to continue to work very hard. The Committee will remember that sometime in December there was an outbreak of Foot-and-Mouth disease (FMD) in cattle in Limpopo and South Africa's FMD-free status had been temporarily suspended. They are working very hard to regain some of the lost trading partners, and are now back in trade in some markets. They hope very soon to apply to the World Organisation for Animal Health (OIE) to regain FMD-free status. Minister Zokwana said sugarcane farmers were complaining that DAFF was not willing to use sugar beet as feedstock for biofuel and that is the debate they are taking on now as DAFF is concerned that, if they do that, then sugar will not be produced for its current usage. In Brazil sugar is cheap but farmers earn more when sugar is used as biofuel feedstock. The 20% proposed taxation on sugar is going to put more strain on farmers. Therefore, this is the debate the Department is facing. The Director-General will expand on that. Mr Mike Mlengana, DAFF Director-General, said that small holder farmers remain central to whatever the department is doing. He first looked at the progress made with previous SONAs, what the achievements and the reasons for non-achievements were. Previous SONAs emphasised that government should support food security initiatives by fighting poverty through support of smallholder producers and households. 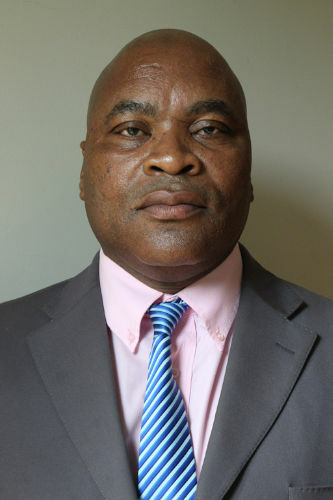 He provided figures for support given to smallholder producers and also to households supported with food production initiatives (Ilima Letsema and school nutrition programmes) for 2014/15, 2015/16, 2016/17 and 2017/18 as well as figures for veterinary graduates deployed to rural communities (see document). Mr Mlengana noted the SONA statement about working in partnership with business, organised labour and community representatives, creating opportunities for young people to be exposed to the world of work through internships, apprenticeships, mentorship and entrepreneurship. In 2014/15, 20 extension officers were deployed. In 2016/17, 30 graduates were placed in commodity organisations aligned to the Agricultural Policy Action Plan (APAP). In 2017/18, 255 graduates were placed in the agriculture, forestry and fisheries sector. In 2018/19, 230 graduates will be placed in February 2019 and 25 graduates will be placed with the Perishable Products Export Control Board (PPECB) in March 2019. In terms of working with the private sector to develop an Agricultural Policy Action Plan to bring one million hectares of under-utilised land into full production, in 2014/15, DAFF achieved 104 393 hectares, 78 811 hectares in 2015/16, 78 134 hectares in 2016/17, and 1, 636,702 hectares in 2017/18. The revitalizing of agriculture and the agro-processing value chain were outlined for red meat, fruit and vegetables, wheat, sugar, wine in terms of hectares put under production, jobs created, estimated investment and markets opened (see document). Mr Mlengana spoke about implementation of the commercialisation support programme for 450 black smallholder farmers in 2017/18. Through blended finance these farmers will receive continuous financial support up to 2030. In 2018/19, training has been provided for these farmers in their various commodities. Some farmers in the Eastern Cape are supporting markets such as maize exports to Vietnam and some are working together with white commercial farmers. The country remains gripped by one of the most devastating droughts which has severely impacted our economy and negatively affected agricultural production. R2.5 billion rand was made available for the provision of livestock feed, water infrastructure, drilling, equipping and refurbishment of boreholes, auction sales and other drought interventions. He discussed the provincial drought interventions in the Western Cape, Eastern Cape, Northern Cape, North West, Mpumalanga, Free State, KwaZulu Natal and Limpopo (see document). DAFF supported the provinces by facilitating and monitoring the implementation of the drought alleviation schemes and consolidated National Treasury reports. Mr Mlengana said that agriculture presents one of the greatest opportunities to significantly grow our economy and create jobs. In 2014/15, Ilima and CASP created 7187 jobs. In 2015/16, Working for Fisheries Programme created 5 131 jobs. In 2016/17, Ilima and CASP created 3 780 jobs. In 2017/18, Ilima and CASP created 4718 jobs. The priorities are to improve food and nutrition security; ensure the creation of jobs by the sector; and increase contribution to the Gross Domestic Product (GDP). ▪ The President did articulate that the potential of agriculture in South Africa for job creation and economic growth still remains largely underdeveloped. The Department response in its APP is to stimulate jobs and growth through strategic commodities selected under seven Phakisa initiatives (programmes) which intend to unlock the potential for job creation. (see document for more detail). ▪ The President stated that South Africa still has large areas of underutilized or unproductive land. ▪ The President noted that as part of the stimulus package in agriculture, government has invested significantly in comprehensive farmer development support to ensure that restituted and communal land is productively utilized. - In the DAFF 2019/20 APP, it has targeted to plant 985 hectares of temporary unplanted areas (TUP) to increase the production of timber by 2019/20. - Development of a business model for re-commissioning for Western Cape state forest plantations. - Promotion of Blended Financial Model to support smallholders. - The Task team has been established to investigate the approach on the Blended Financial Model and a report with recommendations has been finalized. - DAFF will coordinate the support of 25 030 Smallholder producers in PDAs and in the public entities. ▪ The President noted that agricultural exports are an important source of revenue for the economy, and developing the agricultural sector is key to enhancing our food security and for attracting investment. - Implementation of Trade Agreements (see document for details). ▪ The President stated that government will continue to prioritize targeted skills development and capacity building programmes for smallholder and emerging black farmers. - Deployment of 150 Compulsory Community Service (CCS) veterinarians. - Graduates placed in Agriculture, Forestry and Fisheries sector for capacity development. - Implementation of National Policy on Extension and Advisory Services. - Deployment of Extension Support Practitioners to commodity organisations. - Cooperatives supported with training. ▪ The President stated that in the coming year, we will continue to focus on high value agricultural products with export potential such as our fruit, wine and vegetable industries, as well as poultry and red meat. ▪ The President noted that since the Operation Phakisa on the Oceans Economy in 2014, government has secured investments of nearly R30 billion and created over 7 000 direct jobs. The investments have been mainly in infrastructure development, marine manufacturing, and aquaculture. Expected investment in the Oceans Economy over the next five years is estimated at R3.8 billion by government and R65 billion by the private sector. These investments are expected to create over 100 000 direct jobs and more than 250 000 indirect jobs. - Operation Phakisa Oceans Economy includes continuing to support and implement the 35 aquaculture catalyst projects. - The planning and implementation of Aquaculture Development Zones (ADZ), amongst others Qolora ADZ, Amatigulu ADZ, Algoa Bay and Vanderkloof. For example, the impact of roll out of Saldanha Bay ADZ alone once fully operational will increase current production in the Bay to 20 000 tons per annum over the next five years; increase direct jobs by 2 500 (with a value chain of up to 8 000 jobs); support new SMME & BBBEE entrants into the sector; increasing investment by government and the private sector by over R400 million. Mr P van Dalen (DA) asked how DAFF will help 450 small emerging farmers to become commercial farmers with R12 million, which is such a small amount in terms of its target because moving from small farming to commercial farming is quite intensive. How is the Department going to spend that R12m amongst those 450 small farmers? What guarantees does DAFF have that it is going to help these small emerging farmers? 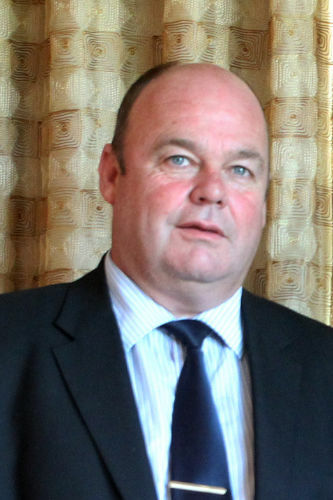 Mr van Dalen asked what DAFF is going to do with the problem of red-tape in the aquaculture sector. He said he was not impressed with what is presented to the Committee because most of these things will not be implemented by the department. The Chairperson interjected that Mr van Dalen should give the department a chance to implement what it says it is going to include in its APP and not to judge it now. 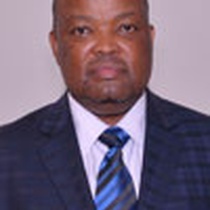 Mr A Madella (ANC) congratulated the Minister and the department for quickly developing the responses to the 2019 State of the Nation Address (SONA). He said it is a concern that nothing is said about the Agricultural Development Zones (ADZs) because they need to ensure that areas in the Over-strand are targeted for development, which is important. They also need to make sure that they empower the previously disadvantaged communities in the ADZs. Mr Madela said that the President is explicit on what needs to happen about the 250 000 small emerging farmers. The response of the department is that it targets 25 000 small emerging farmers. This is a far cry from the 250 000 target. It will take them a long time to reach that 250 000 target. Therefore, DAFF wants to develop small emerging farmers it needs to relook at the numbers it is talking about. Mr Madella said the President in his 2019 SONA spoke about the number of jobs that will be created in the Oceans Economy. DAFF talks about 2 500 to 8000 jobs, which means that the targets are not aligned to what the President is talking about. Therefore, they need to look at these targets. Mr Madella said the R800m received by the Agricultural SETA for skills development is too high because this is the smallest of all SETAs but the budget is welcomed. Therefore, they need to ensure that training is targeted and that money should not be spent on something else, except training especially small emerging farmers. Mr N Capa (ANC) said that in terms of priorities for skills development on page 16 of the report, training does not only focus on skills development but also encompasses capacity building. Mr Capa said it is always reported that the failure rate of cooperatives is 85% in the country. He asked whether these cooperatives are actually working or if these are just figures that are always indicated. What is the exact number of cooperatives that are functioning? Mr Capa asked why agricultural land remains underutilised and under-developed, is it because of funding? Ms A Steyn (DA) said that she is concerned about the reduction of support for people vulnerable to hunger. They need to keep an eye on people that are vulnerable to hunger and that is the only indicator DAFF needs to focus on so that they can see the impact. Ms Steyn asked whether there is a separate plan for disaster funding because most of the time when a disaster strikes, funds for that disaster are taken from other programmes of the department. Is there a separate disaster fund that the department has established? Ms Steyn asked if there are some areas in terms of diseases that the department is still worried about. Mr P Maloyi (ANC) welcomed the presentation noting that some of the items mentioned by the President in his 2019 SONA are things that the department has been dealing with, which is quite good. The Chairperson said that as a Committee they should congratulate the department for what it has presented and hope that all these responses will be implemented in its Annual Performance Plan (APP) so that they can see the desired result at the end of the financial year. Transforming the sector is key and important and bigger support by the department to small holder farmers should be encouraged. There is also a need for the monitoring of conditional grants for skills development training and capacity building. These grants will go a long way to support small emerging farmers to become commercial farmers. Minister Zokwana replied about red-tape in the aquaculture sector, saying that last week he held a meeting with the Minister of Environmental Affairs and together they agreed on the process that will function going forward. They have found that it may not be the Environmental Impact Assessments (EIAs) that took long, but it is the concurrency with the local government because an input has to be made by them. They are competing with other Strat-Min organisations such as those that are in different forums, NGOs and others, who may put up an objection. They have told their teams that they should scale up the challenges if there are such things, and he can assure the Committee that now there are fast programmes. Their teams are meeting this week, both from Fisheries and the Department of Environmental Affairs (DEA), and they have agreed to fast track the programme for removing red-tape in the aquaculture. Minister Zokwana said that he had received Mr Van Dalen’s SMS last week and they’re engaging the DDG to look at what should be done on the issue of workers and he will make a follow up on this matter. Minister Zokwana replied about the Agricultural Development Zones (ADZs) that they are clear on what should be done and the general view is that the amount set aside for that is not enough. Minister Zokwana agreed with Mr Capa that SETAs sometimes do training for a week and claim that is full training. Therefore, they need to follow up and ensure what kind of training has been given so that the training includes capacity building. Minister Zokwana replied to the Chairperson that when they second graduates into commercial operations the aim is to give them the tools they did not get while at school so that when they return the aim is to allocate them as farmers so that not all of them should queue for employment. The aim is to ensure that the cream of graduates on leaving that programme go into the farming factory as part of the land expropriation without compensation. Minister Zokwana replied to Ms Steyn that what has contributed to the poultry industry is not only diseases, but they are hamstrung by practices the industry itself is guilty of. It is something they will engage on with the industry. The adverse impact of the outbreak of avian flu which they never had before exposed the industry to high losses to the extent that they are compelled to keep the industry going and they will be importing fertilised eggs from the United States in this regard. Therefore, this is a programme they still need to engage on and when they come back with the APP they will be know how they are going to do that going forward. Minister Zokwana replied that the Foot and Mouth Disease (FMD) never had a linkage from neighbouring countries to our country and this was reported by the media. Due to drought conditions animals could not be contained and there is no physical fencing to contain animals from grazing in neighbouring areas. The department is in the process of putting up fences and employing people to monitor animals. As a department they are compelled to look at people who do business in those areas. The department has vaccinated all animals in those areas and those areas are FMD free. The department has also discussed with Agri SA coming up with an insurance cover so that when an incident or disaster happens farmers will be insured for their crops or/and animals. But this is something under debate because National Treasury is cautious that people can make false claims. Minister Zokwana agreed with the Chairperson on transformation of the industry and to do that they need to ensure that people feel part of the programme. This current policy framework is so awkward given the advent of climate change. Farmers may face hardships because they wait until the disaster strikes before they apply for assistance. There is a constructive support system especially in the red meat industry because the department has built feed locks, it has done wholesales and people are making money by selling their cattle properly. And that is what should happen because if they have to deal with planting of feed they have to ensure those animals are fed. Therefore, those commodity round table meetings must sit and it must not at the behest of a particular official, there must be a standard that meetings have been planned. Minister Zokwana said on the monitoring of conditional grants, the DG has reported that they are working at creating a structure that is a team rather than an individual, and those teams will be deployed throughout the provinces to ensure that the maize planted is of quality. The Chairperson interjected that due to time constraints, the DG would be unable to respond to the questions raised by the Committee, but hopefully those issues will be reflected in the APP. She thanked the Minister, DG and delegation for the presentation and responses.